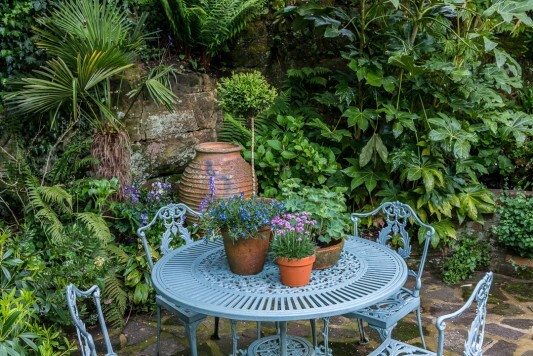 This garden is built on the ancient site of a Roman quarry, and the back terrace is cut into a wall of sandstone where now there is a barbecue and seating. 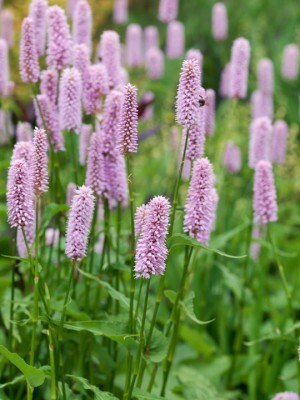 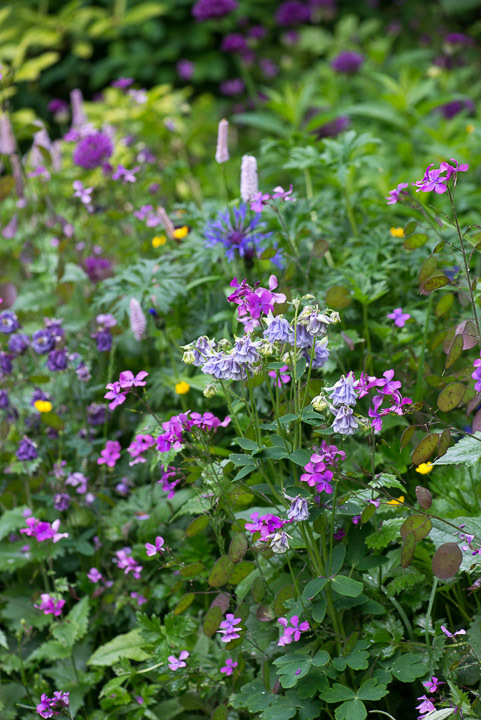 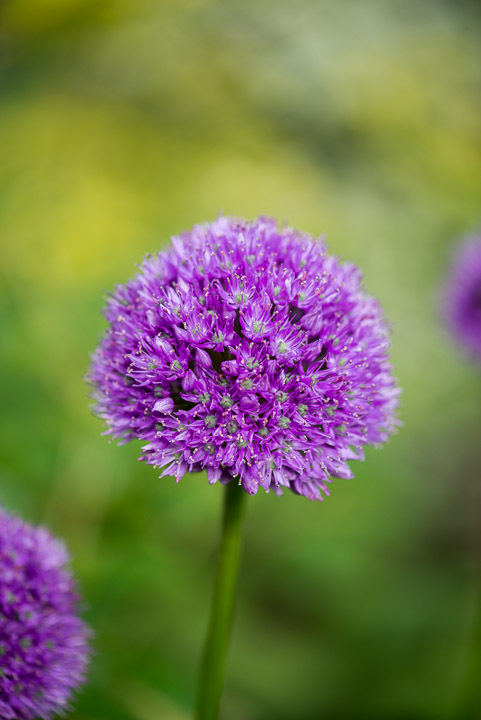 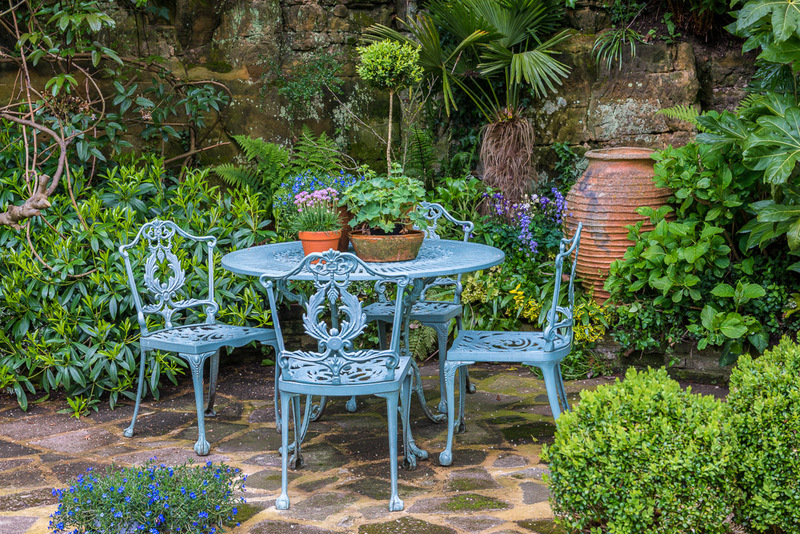 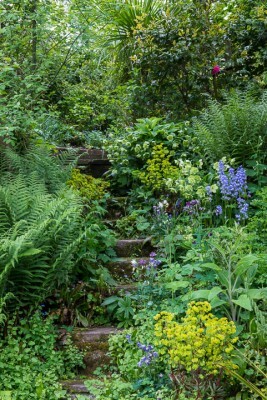 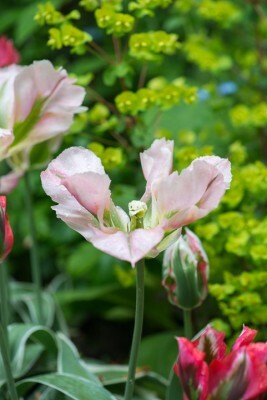 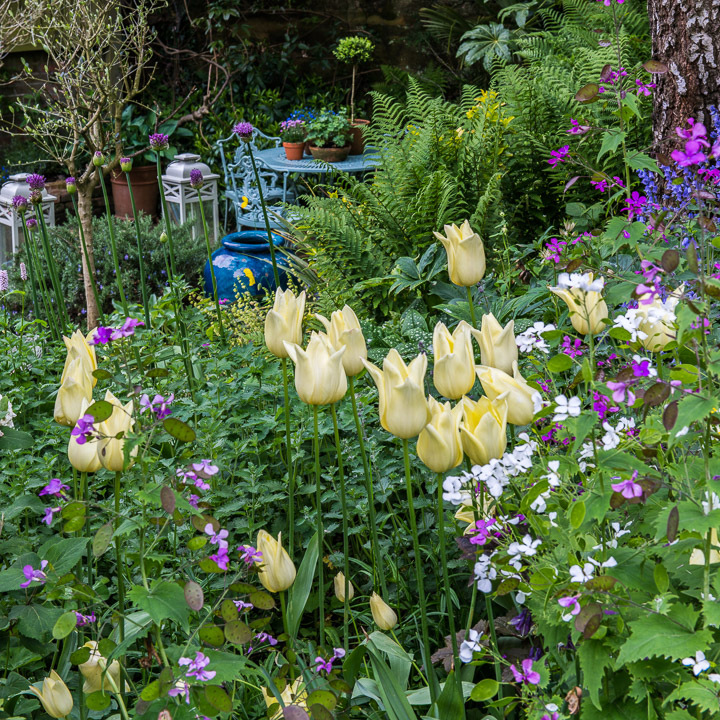 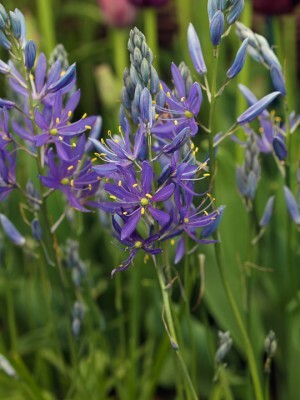 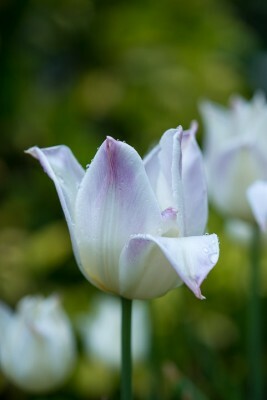 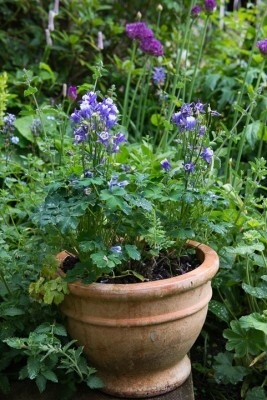 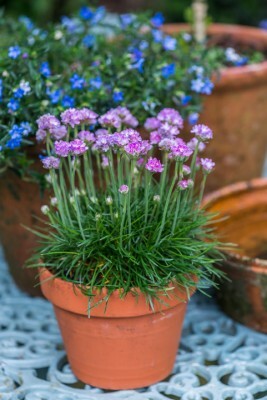 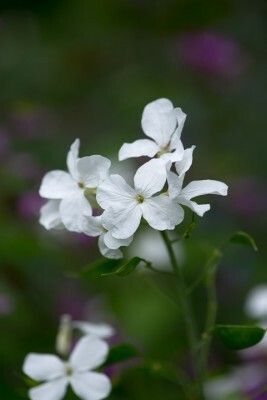 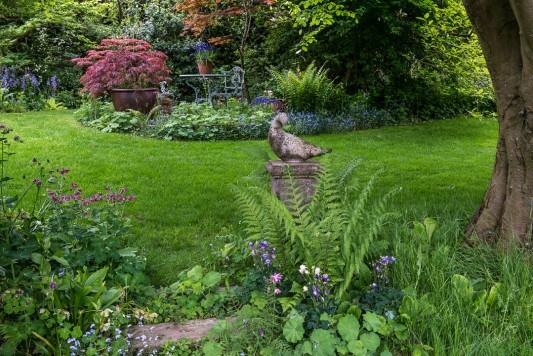 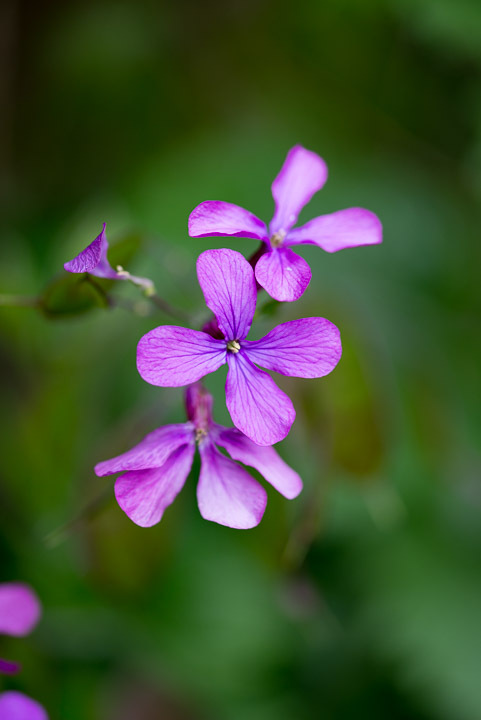 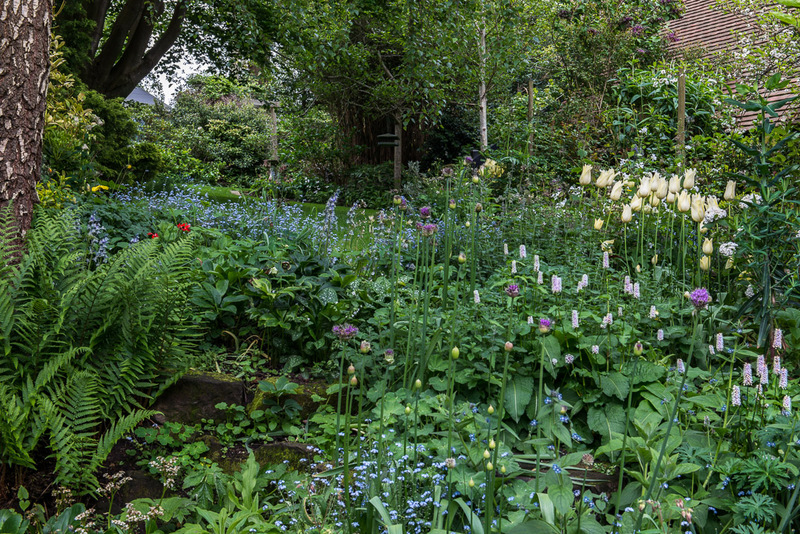 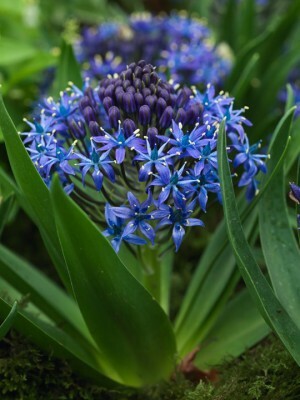 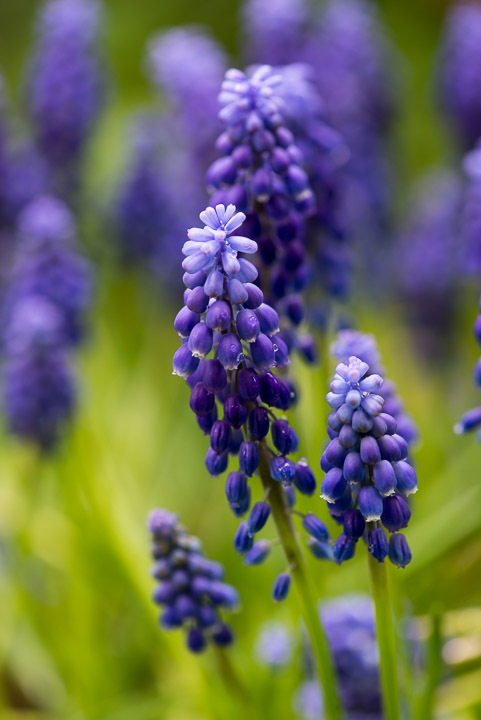 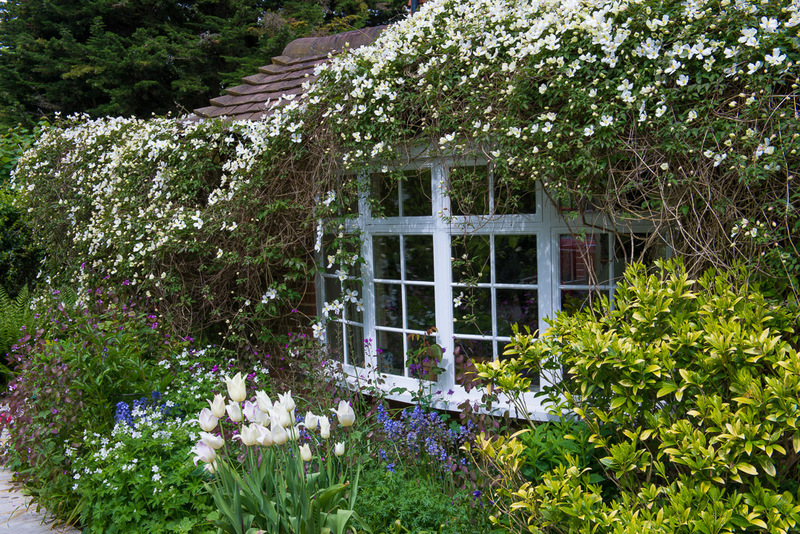 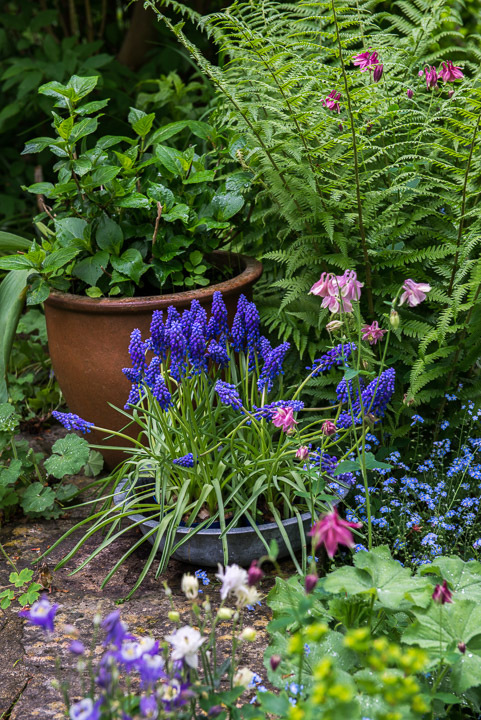 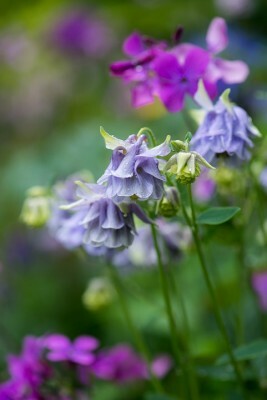 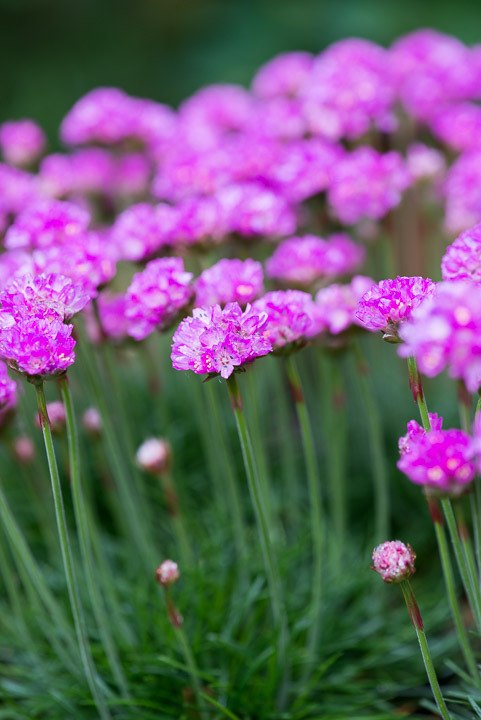 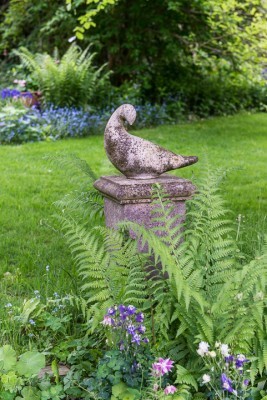 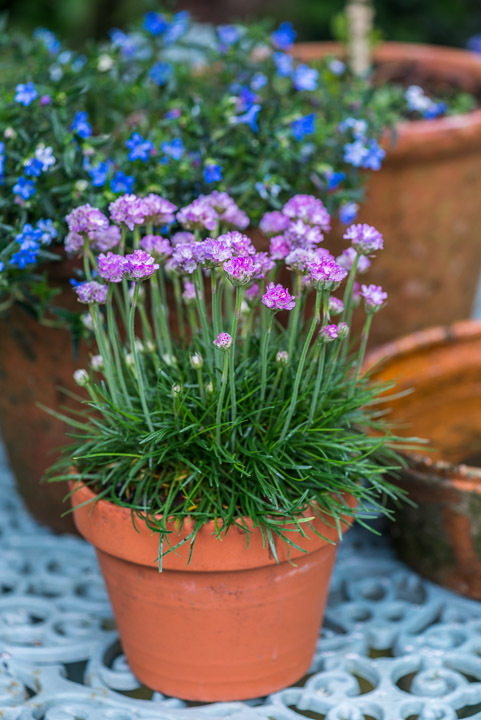 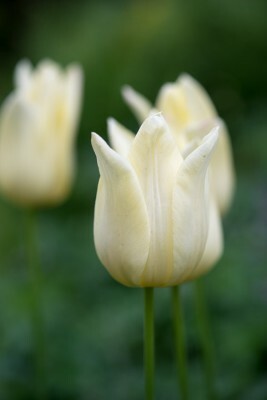 The secluded terrace is sheltered by the rock face and a steep bed packed with tulips, alliums, bluebells, honesty, forget-me-nots, bistort and persicaria. 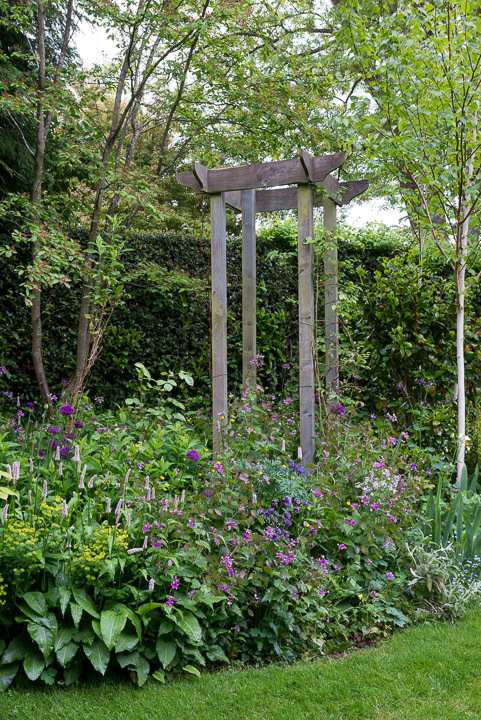 Encircling the entire hollow is a framework of trees and shrubs which extends throughout the plot, putting down the roots that now hold the hillside together. 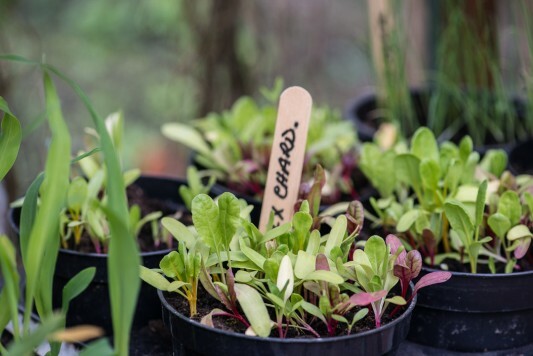 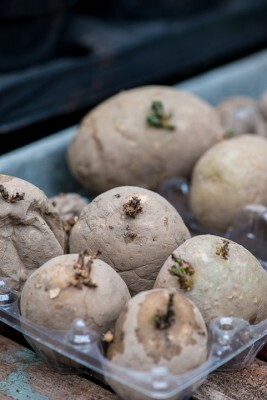 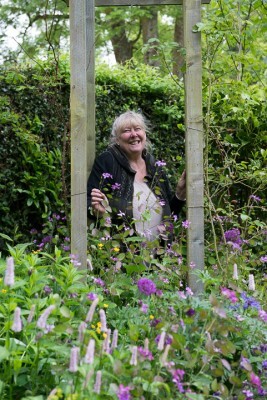 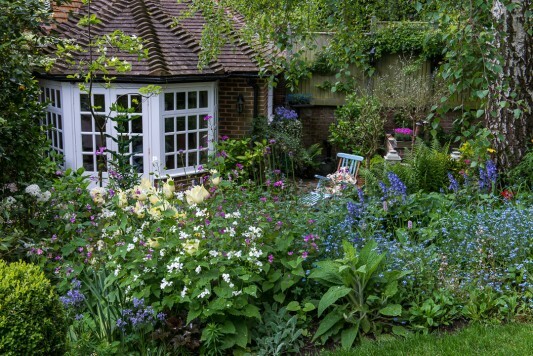 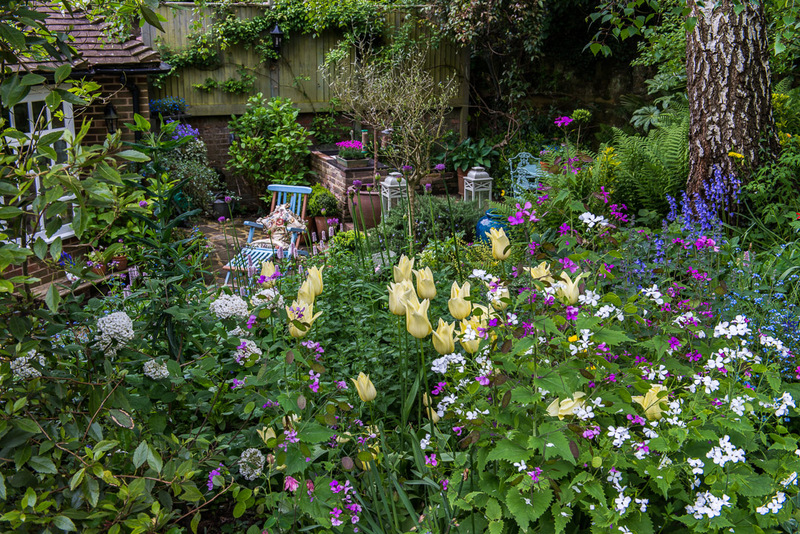 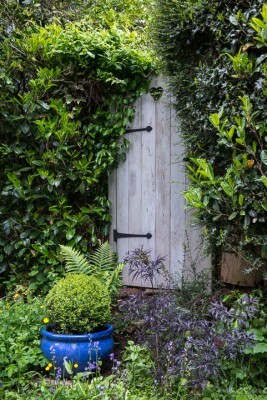 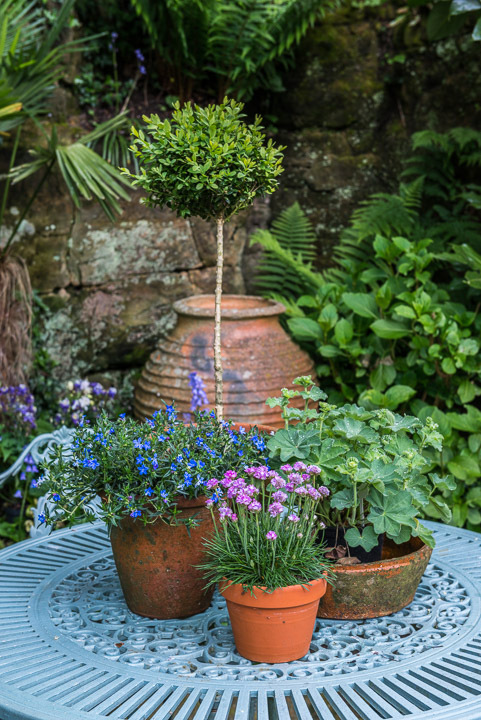 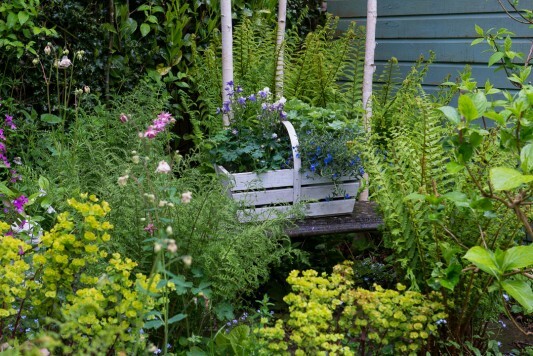 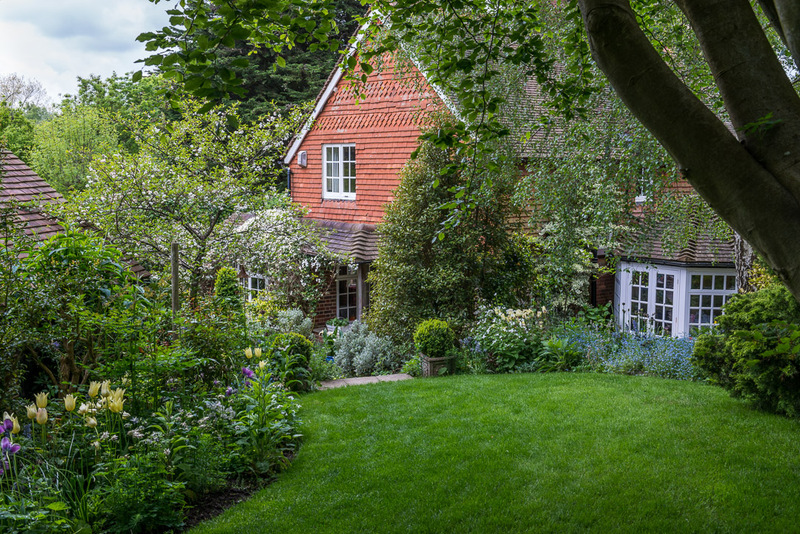 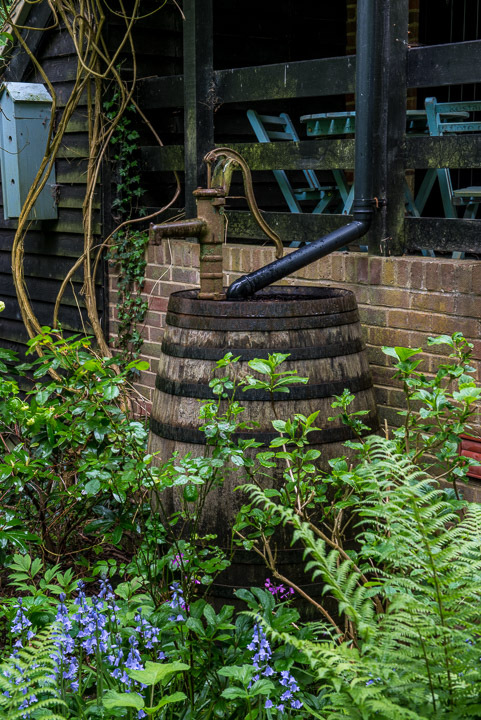 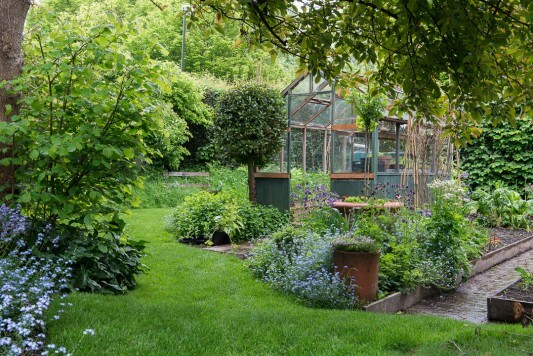 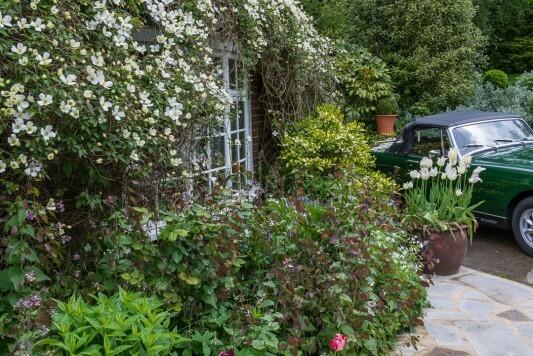 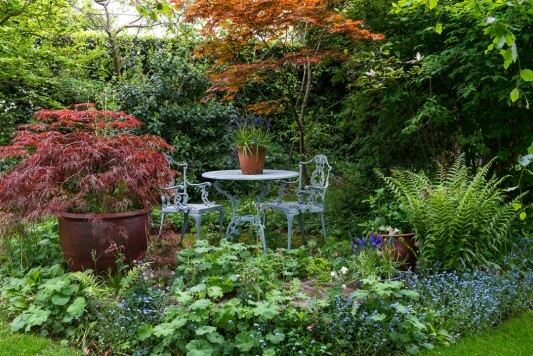 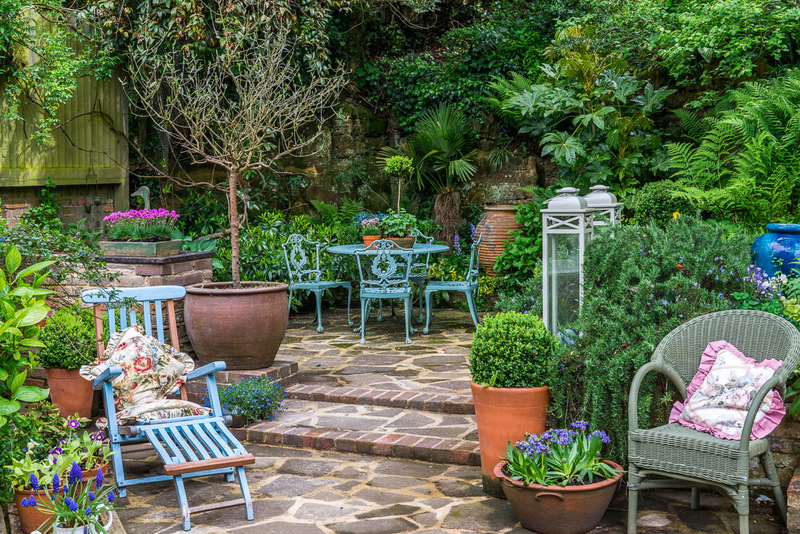 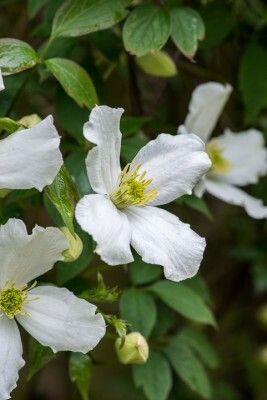 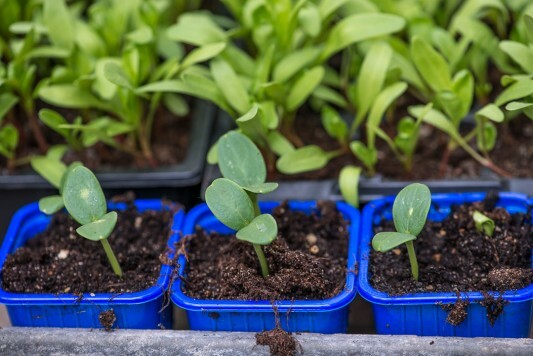 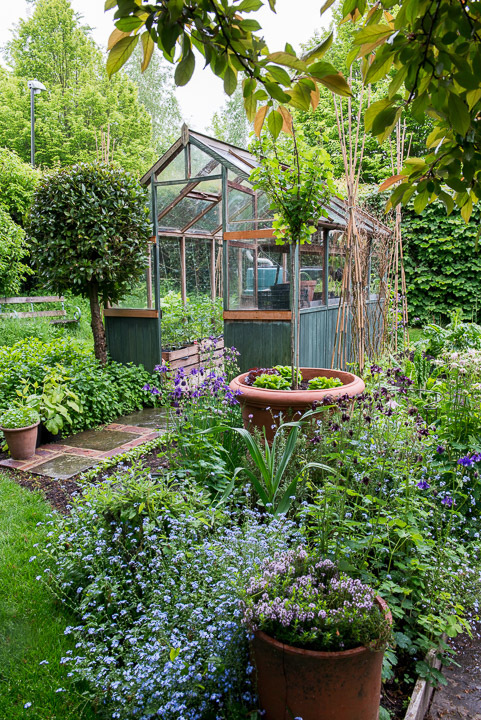 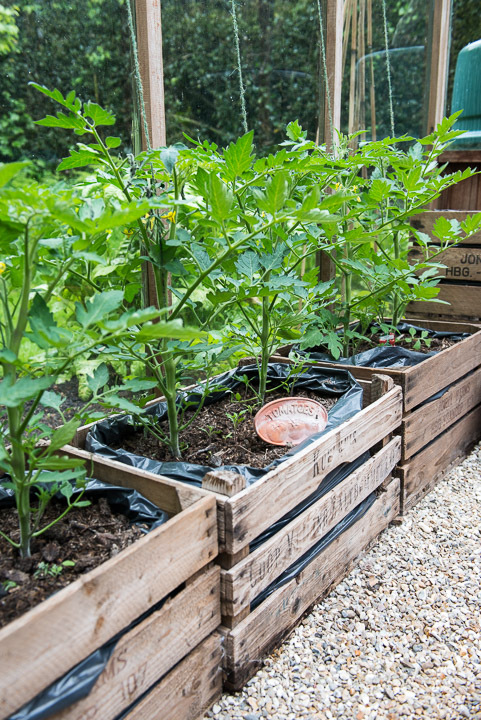 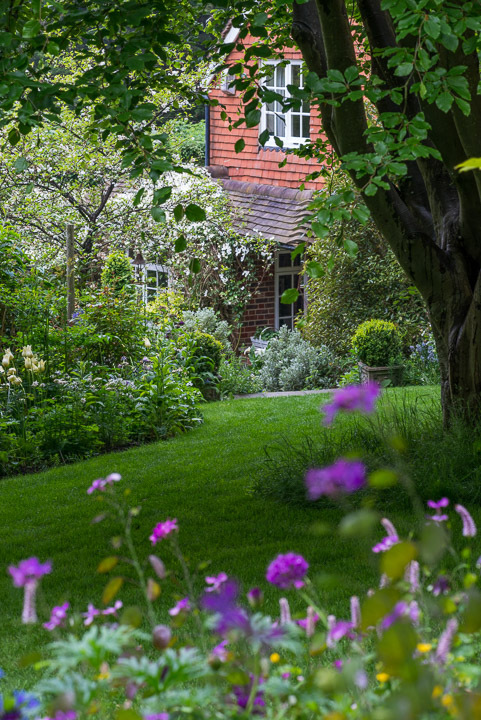 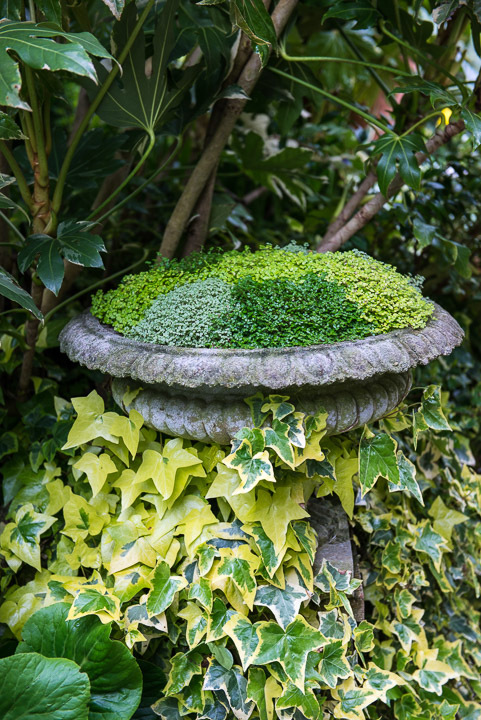 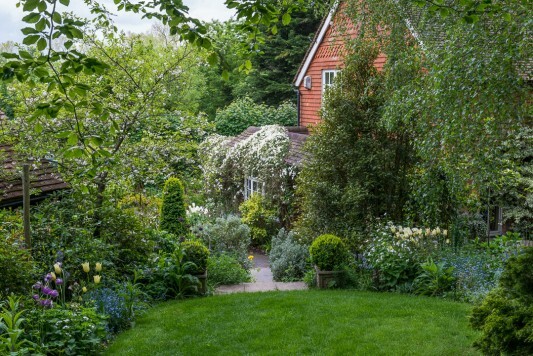 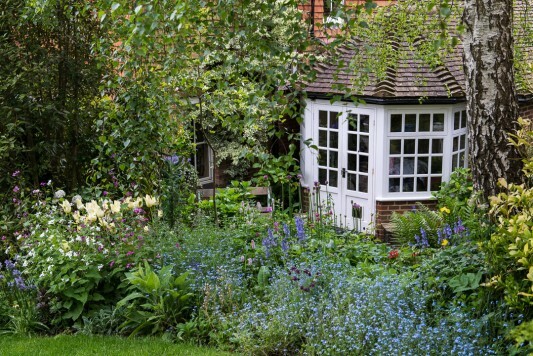 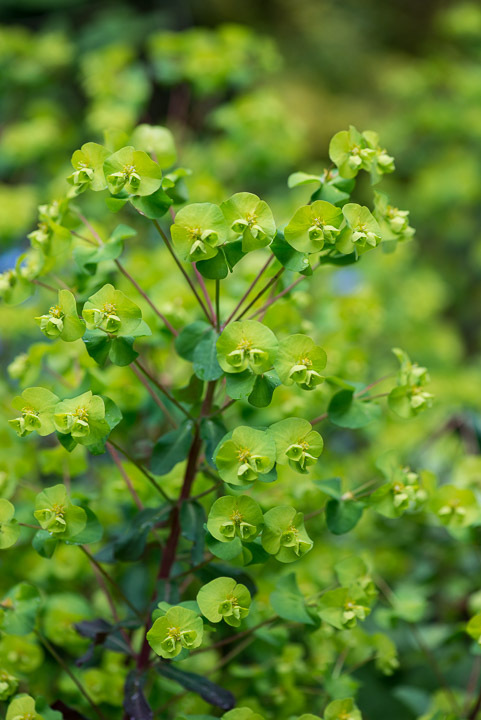 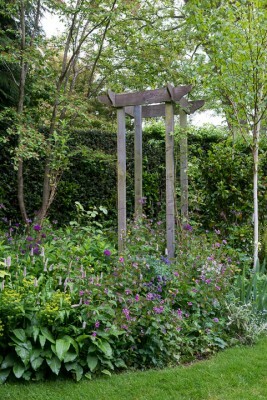 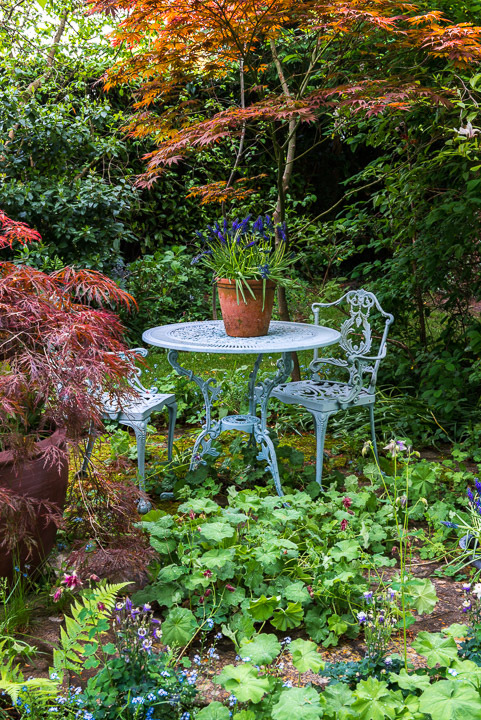 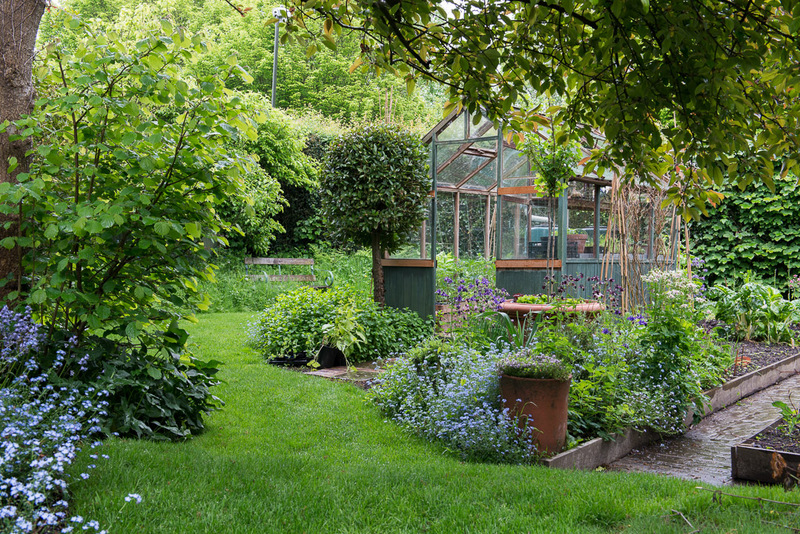 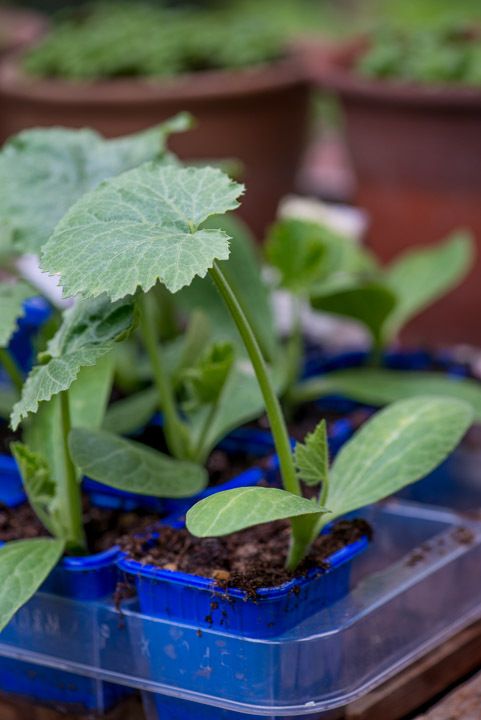 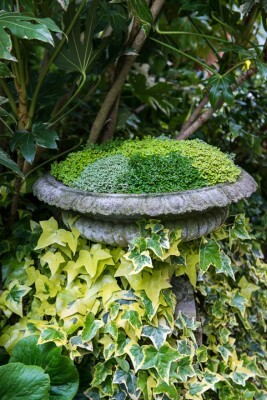 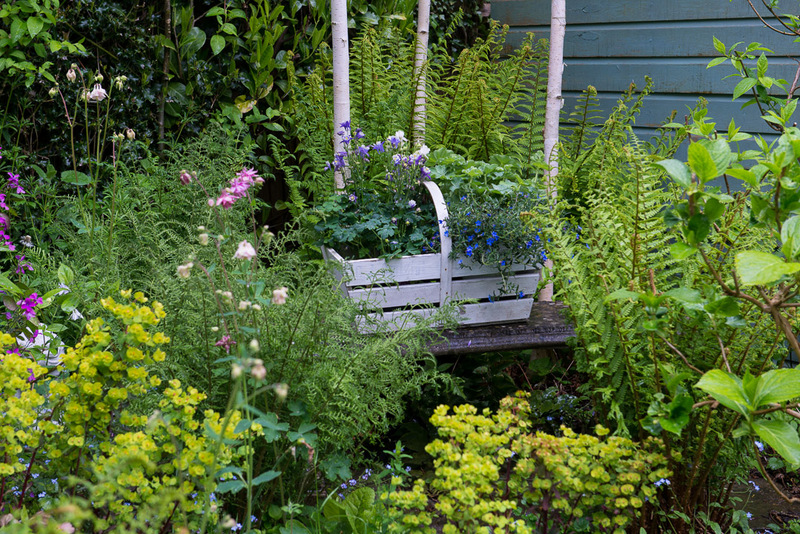 As the plants have matured, the owner has created different vistas that detract from the slope which, she insists, makes the garden far more interesting than if it was flat because there are hidden corners such as a woodland patio, birch spinney and kitchen garden.